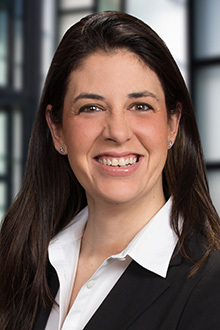 Denver Partner Alyssa R. Watzman will present as part of the Colorado Bar Association’s Financial Institutions Subsection CLE Series on October 17 in Denver. Ms. Watzman will join a panel entitled “Colorado’s New Data Privacy Law: What It Is and Its Impact on You and Your Clients.” The panel will address the new data privacy law, which went into effect on September 1, analyzing who and what is covered by the law and the operational issues it creates for businesses and government entities. The presentation will also include practical advice for implementing the new law. The talk begins at 3 p.m. and is worth two hours of CLE credit. Learn more and register here.